Shopping around for a quote is usually the first step in the process of Omaha Auto Shipping. Just like with any other service, you want to get high-quality car transport without overpaying. That’s fair, but remember not just to look for the lowest price. Rates that are far lower than others are a red flag. Shipping with companies that give you an extra low price can result in huge extra fees or long delays, if not worse. Choose a lower price from an average range — and don’t forget to research a company before booking with them. Get a free estimate from Omaha Car Transport today! We want your experience in Omaha Car Shipping to be pleasant for you from the very start. 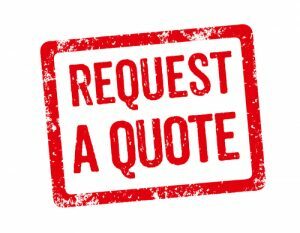 That is why it is so simple to request a free estimate from Omaha Car Transport. You can call our office at any time during business hours and one of our agents will provide you with the price. If you have a lower quote from another company, we will try to beat their price. You can also request an estimate here on our website. On the upper portion of any page, you can see a simple form you should fill out. We only need some info to give you an accurate price. To calculate the cost of your Omaha Auto Transport, we need to know the route, make and model of your vehicle along with its condition, the method of auto shipping (open or enclosed) and the pickup date. Please, also leave your contact info so we can email you the price or give you a call. Don’t forget about our special discounts! There is always a chance you can get a lower price at Omaha Car Transport. Contact us today and let us take care of your auto shipping!